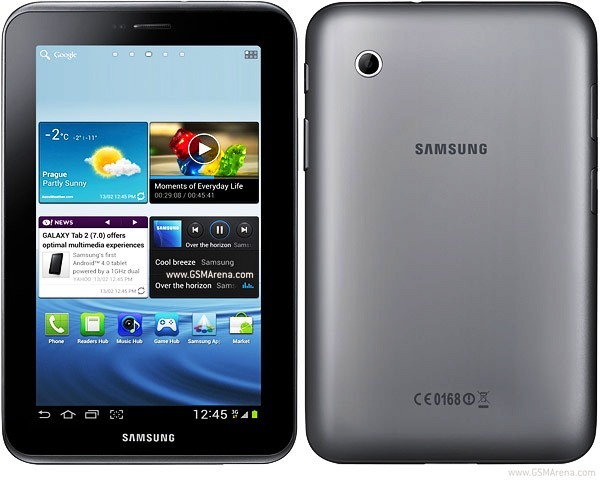 Samsung recently released the official P3100XXDMG6 4.2.2 Android Jelly Bean firmware for the 3G version of Galaxy Tab 2 7.0 and now it has launched the same for the WiFi version as well. Not very long ago, Samsung released the XXDMH1 Jelly Bean 4.2.2 firmware for the tablet. The P3100XXDMG6 Jelly Bean firmware has been released only for the users of UK. So other Samsung users have to still wait for the firmware release in their area through OTA or Kies. It goes without saying that flashing the P3110XXDMH1 firmware will enable you to enjoy the 4.2.2 Android features like the lock-screen widgets, dedicated toggles area in the status bar, Daydream screensaver mode and much more. Other than all these, there will be improvement in performance of TouchWiz and don’t be surprised if you find some Galaxy S4 features in the update as well. So if you’re a Galaxy Tab user living in the supported countries, head to the inbuilt System update OTA feature by going into Settings->About Software->Software Update or connect the device to PC through a USB cable and check for update via Samsung Kies. If you wish to apply the update manually, go through our simple step-by-step guide to do the same. Keep in mind that to apply this firmware we will be utilising ODIN. Hence there is no need of custom recovery like CWM recovery or a rooted Galaxy Tab 2 7.0 P3110. If you wish to root the device after installing the firmware, you can do so with the help of proper rooting guide. Complete Installation Tutorial of XXDMH1 Android 4.2.2 Jelly Bean Official Firmware. Download Odin 3.07 to your PC and the Android 4.2.2 JellyBean P3110XXDMH1 Firmware. The links are given in previous page’s download list. Extract the compressed Firmware zip file anywhere on your desktop and you should see a .tar.md5 file in the extracted folder along with some other files (optional). Extract Odin zip file and you will see Odin3 v3.07.exe along with some other files on your PC. Now switch off your phone and wait for the vibration to confirm complete switch off of the device. Then press and hold the Volume Down + Power button simultaneously to enter the Download Mode. You will see an Android Robot on the phone screen. Press volume up button again in order to enter the download mode. Now run Odin3 v3.07.exe file that you got in Step 3 to install Odin. You must run it as an Administrator as administrator rights are required to for the installation to complete successfully. Now with the help of a USB cable, connect your Galaxy Tab 2 7.0 P3110 to your PC. You will see a message in Odin’s message box which is on the Bottom Left saying “Added!!”. If you don’t see the message, try plugging the device in another USB port. But if even that doesn’t do it, you need to install the USB drivers for your PC again. In case you do see the “Added! !” message in Odin, you will also notice the COM port with a number in yellow meaning that you are all set to proceed to the next step. Select file with *modem* in its name by clicking on the Phone Button ( do this only if you see it in the extracted firmware directory). In the Odin window, make certain that the only checkboxes ticked are Auto Reboot and F. Reset Time. Also, make certain that, in Odin, the Re-partition checkboxes is ticked only when you add the .pit file (check Step 7.4). To make the process of flashing safe, cross check everything once again that we mentioned in Steps 7 & 8. Once everything is set, press the START button to start flashing. Once the installation is completed, you will notice a PASS message with green-background in Odin in the left-most box at the top. Your phone will reboot automatically and you can safely remove the USB cable from your PC to disconnect the device.